Polling for those 22 venues that had to be suspended yesterday will now be carried out on Saturday from 7.30am to 6pm. In a presser this hour, Supervisor of Elections Mohammed Saneem says as a result of discussions with the Electoral Commission, the decision has been finalized to hold polling for the 22 venues that were affected in the Central, Western and Eastern Division. Saneem also clarified that Niuwasa Community Hall was not one of the polling venues affected and was incorrectly added to the list. Revising the figures from the original 7852 voters that were affected, Saneem says ballot papers are been printed to carry out polling in the respective areas. 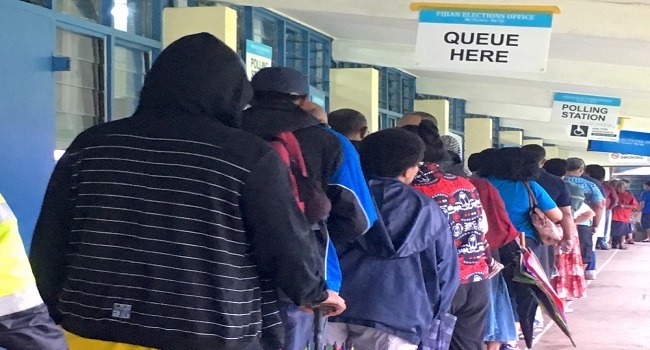 The SOE had also initially clarified that those that already voted prior to the decision to suspend polling had their votes cancelled and would now have to revote.